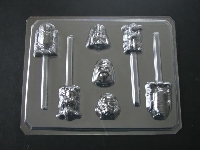 "Add to Cart" then choose Chocolate or Hard Candy mold Approximate size: 2.25 x 1.5 and 2 x 1.5 inc..
"Add to Cart" then choose Chocolate or Hard Candy mold Approximate Size: 3 x 1.5 inches..
"Add to Cart" then choose Chocolate or Hard Candy mold Approximate Size: Assorted. 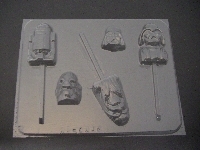 ..
"Add to Cart" then choose Chocolate or Hard Candy mold Approximate Size: 3.75 x 1.75 inches..
Star Wonders Chocolate Candy mold Approximate Size: 2 x 1.5 inches **Will recieve mold shown in ..
"Add to Cart" then choose Chocolate or Hard Candy mold Approximate Size: 2 x 1.5 inches..
Star Wonders Chocolate Candy Mold Approximate Size: 4 x 1.5 inches **Will recieve mold shown in ..
Star Wonders Chocolate Candy Mold Approximate Size: 4 x 1.5 inches..
"Add to Cart" then choose Chocolate or Hard Candy mold Approximate Size: Assorted..
"Add to Cart" then choose Chocolate or Hard Candy mold Approximate Size: 4.5 x 1.5 inches..
"Add to Cart" then choose Chocolate or Hard Candy mold Approximate Size: 2 x 1.25 inches..
Star Peace Invader and Yo Dude Chocolate Mold. Approximate Size: 3.25 x 1.75 inches. 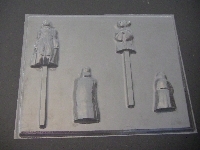 ..
Star Wonders Chocolate Candy mold Approximate Size: Assorted inches **Will recieve mold shown in..
"Add to Cart" then choose Chocolate or Hard Candy mold Approximate size: 2.5 x 2", 2.25 x 1.75"..
Star Wonders Chocolate Candy mold Approximate size: 4 x 2.5" **Will recieve mold shown in pictur..
"Add to Cart" then choose Chocolate or Hard Candy mold Approximate size: 4 x 2.5"..
"Add to Cart" then choose Chocolate or Hard Candy mold Approximate size: 2.5 x 2", 2.25 x 1.75" and..
"Add to Cart" then choose Chocolate or Hard Candy mold Approximate size: 3.25 x 1.75", 2.5 x 2", 2 ..
Darth Vader Cake Pan. 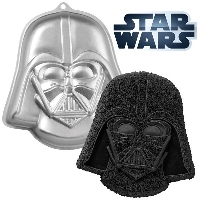 Bring Star Wars™ action and adventure to kids’ parties and adult celebrations..